Interested in filling your cellar with astonishing wines? We are beyond excited to share our new Cellar Club, which offers you exclusive access to our Grand Award-winning world-class list to enjoy at home. Every member receives a quarterly allocation of wine–hand selected by our Wine Director, detailed tasting notes on every bottle, and access to a personal sommelier who can answer questions and offer guidance on your wines. You’ll also receive invitations to special educational events, preferential dining reservations, and exclusive pricing on wine bottles whenever you dine with us. Enjoy well-made & iconic wines from around the world, all hand-selected by our Wine Director. Receive detailed tasting notes with each wine selection & access to a personal sommelier. 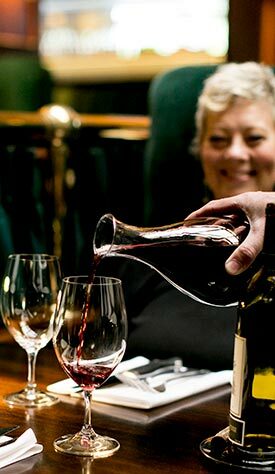 Access to exclusive pricing on our wine list when dining at the restaurant. Reservations can be difficult to attain, but not for our members. *We host quarterly parties where you can collect your wine and taste incredible vintages with our wine team. Our parties are scheduled in October, January, April, July). You also have the option to receive your wine on your next reservation one week following the event.